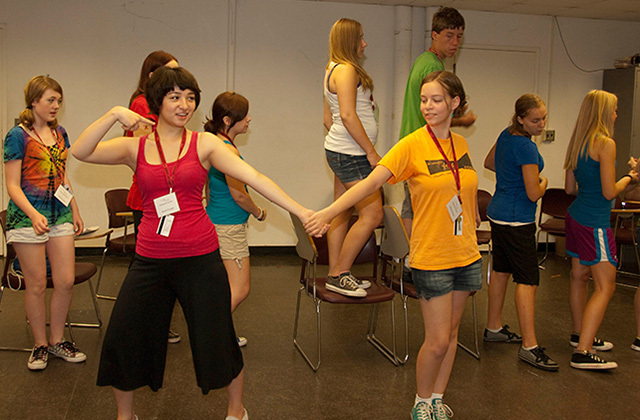 The School of Theatre and Dance provides many opportunities for high school students throughout northern Illinois to participate in theatre and dance intensive workshops, presented either here on the DeKalb NIU campus, or presented at the schools themselves. Of course, theatre productions bring stories to life. To that end, there are also opportunities to see our shows that are related to high school courses of study, at greatly reduced rates, on our Seat Yourself! Nights, exclusively for high school groups. 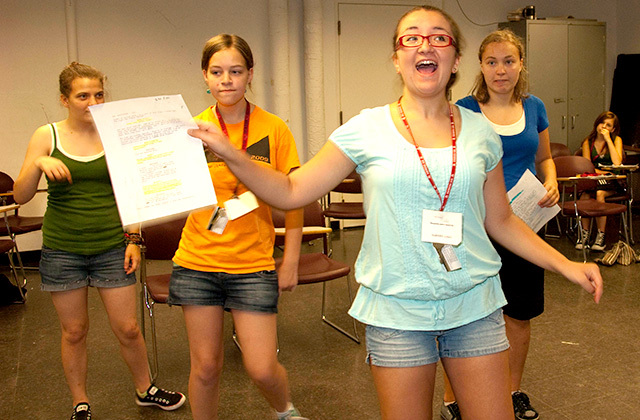 Performances can be designed to add talk-back sessions and other activities related to the production history and content that can add greatly add to a student’s understanding of literature, history, politics and human relationships. In the fall of every year, SoTD hosts the High School Theatre Workshop Festival–all day workshops in theatre and dance (8:30 a.m. check-in to 3:00 p.m.), from stage combat training to audition prep and theatre games to hip-hop dance. Reservations are limited and festival fee is $15. Teachers are welcome to participate. This year, the festival will be on Friday, October 20, 2017.